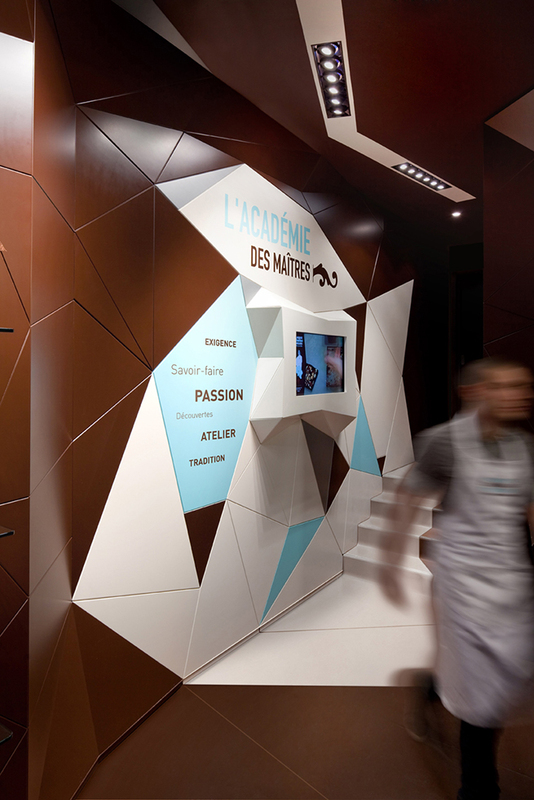 An impressive showcase of ten Belgian Chocolate masters. 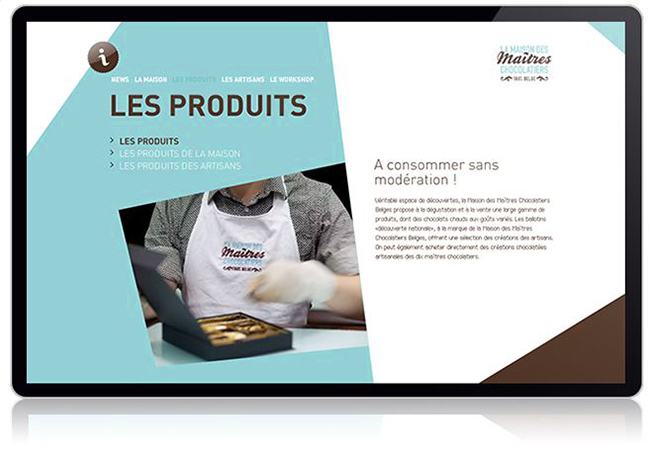 An identity, interior and website created to reflect this display of craftsmanship. 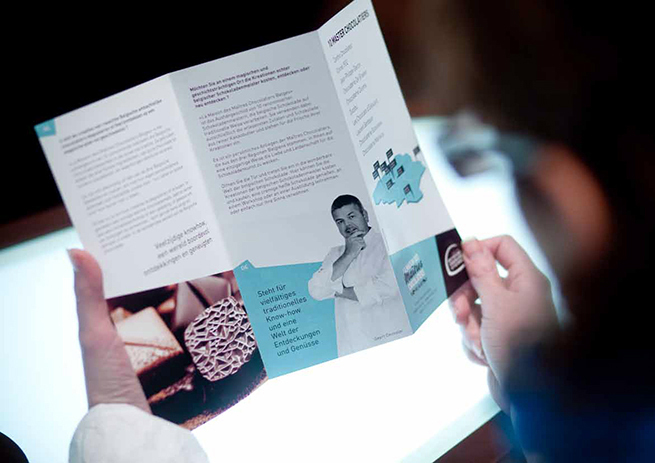 Belgium is world famous for the quality of its chocolate so when ten Belgian masters of chocolate join together to showcase their art you know that something impressive is about to happen. 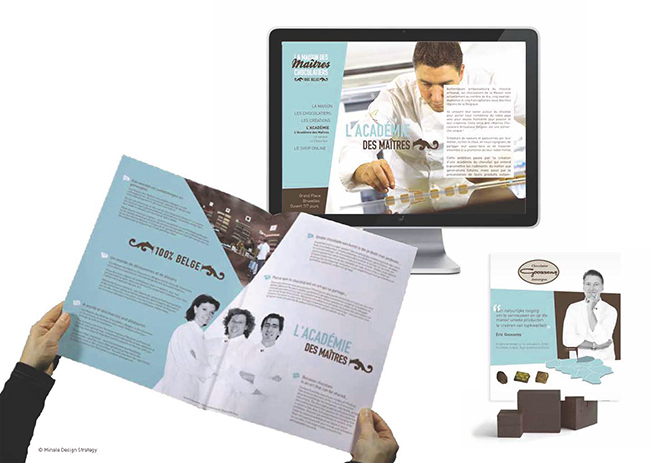 Minale Design Strategy’s Brussels office was approached by Best Belgian Chocolate of the World, a non profit making organisation dedicated to protecting and promoting the expertise of Belgian chocolate, to create the name, identity, interior and online communications for this chocolate emporium. 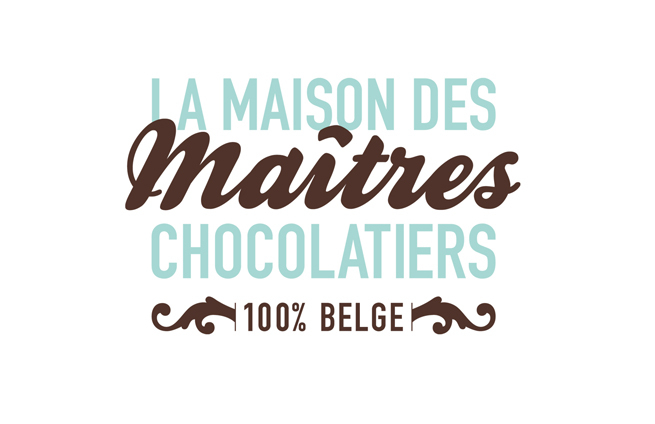 Welcome to ‘La Maison des Maîtres Chocolatiers Belges’. 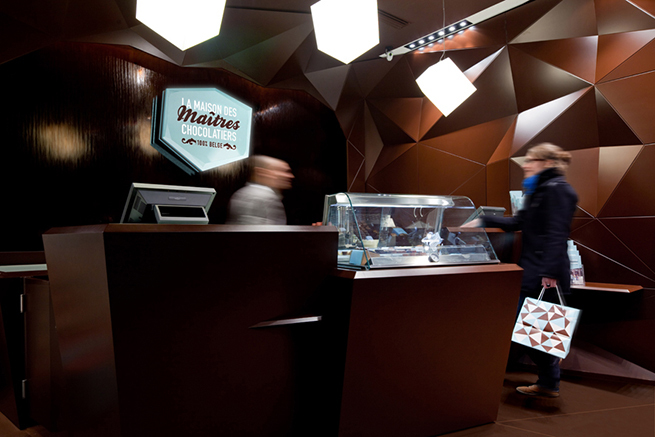 The name created ‘La Maison des Maîtres Chocolatiers Belges’ is a grand name for a prestigious concept. 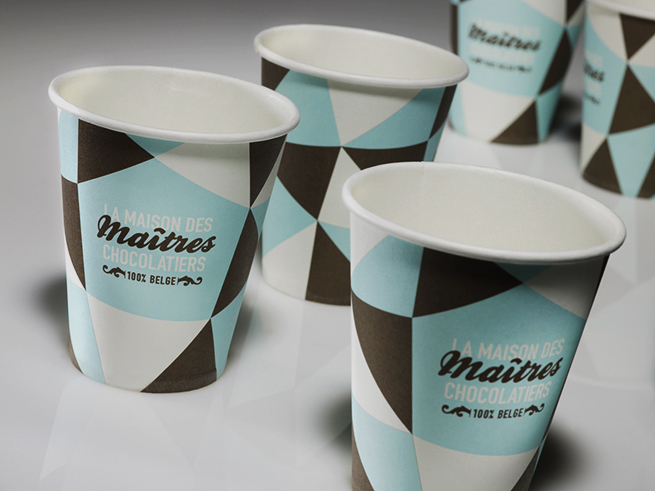 The identity and accompanying design elements communicate luxury and simplicity at the same time. 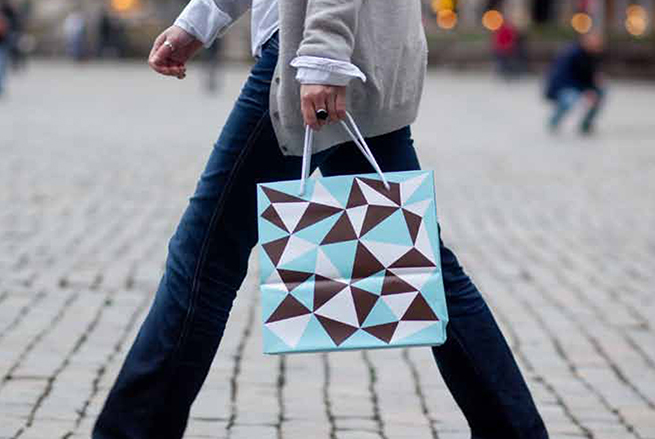 The colour palette of light blue, brown and white has a light touch, while the geometrical shapes have an intricacy suggesting expertise and accomplishment. 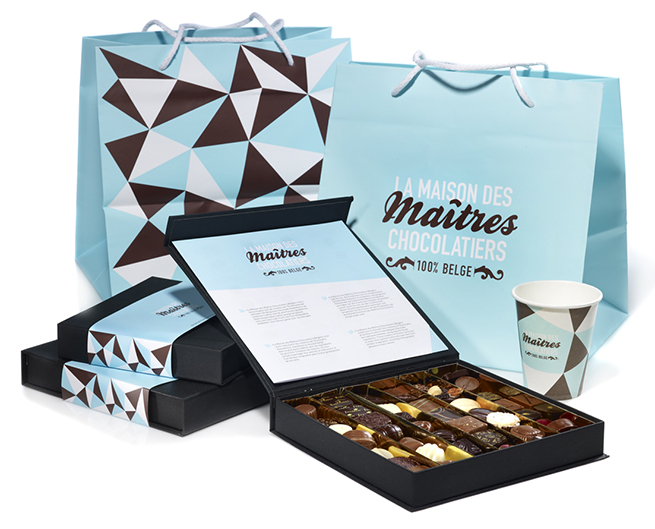 Details including gift boxes, carrier bags and paper cups, as well as staff aprons, add to the high quality ambience surrounding these master chocolate makers. 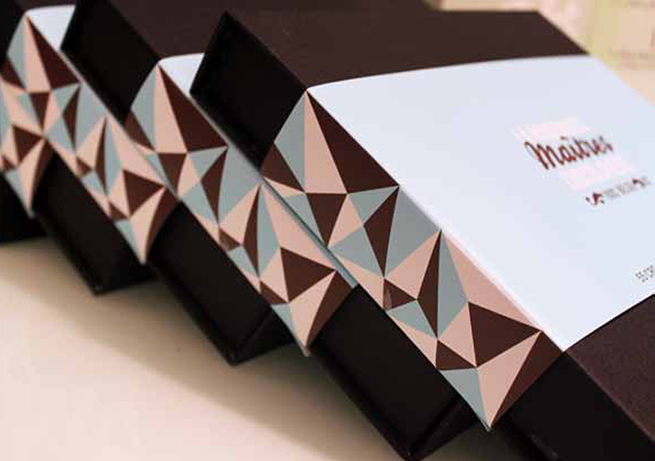 The concept has been designed so it can be rolled out at other types of outlet, such as department stores and shopping malls, in different cities to promote Belgian chocolate internationally. 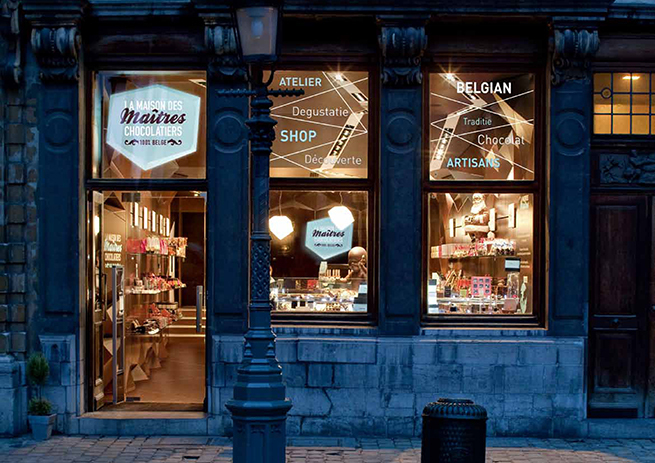 Belgian chocolate makers can be justly proud of their magnificent “embassy” in the heart of the capital of chocolate.